Last night while cleaning up the kitchen after dinner, my mild case of OCD kicked in. I could not bear to look at the overripe brown bananas and the old avocado throwing off the balance of my fruit bowl. None of the boys in this house will eat brown bananas, they have to be at their peak, so I usually just toss them in the freezer for future bread making. If any of you saw my freezer you would agree that I have enough frozen bananas to bake enough banana bread for the entire neighborhood. 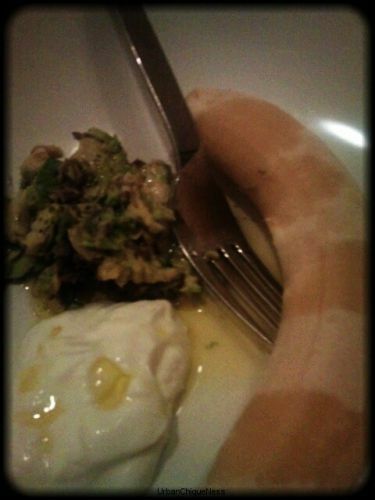 So, what was I going to do with this old avocado and this sad looking banana? It was way too late for a smoothie, but it was the perfect time for a hot bath, a cup of tea and a hydrating fruit mask! 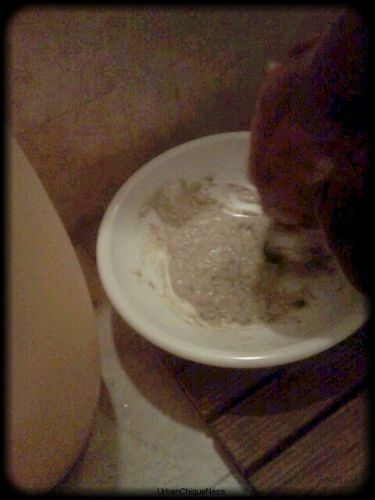 So I mashed up the fruit with some Greek yogurt and olive oil and headed to my place of calm, the master bathroom. Well, it wasn’t exactly quiet as the two crazy hounds were going nuts over my banana, avocado mush. They followed me like too starving street dogs whining the whole way up, as if this yummy smelling mixture was for them. So, I put the bowl out of dogs reach and filled up the tub. 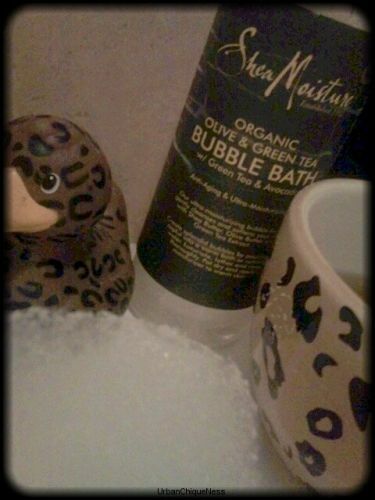 I used one of my favorite bubble baths from Shea Moisture, which, ironically, is Olive Oil, Green Tea & Avocado! I gently spread the mask all over my face and relaxed while sipping my tea, as my two henchmen lounged next to me on the bathroom floor. Mind you, this is one of their favorite spots with or without the tasty treat nearby because we are lucky enough to have heated floors in the master bath. I must say my skin felt very hydrated after about 20 minutes, so I washed it off with warm water and moisturized with a small amount of Sweet Almond Oil. Now, I was ready for bed, except I needed to dispose of the leftover mask and I was too lazy to take it down to the kitchen. What would you do if you had two desperate looking puppies staring up at you? I did the same thing, I placed the bowl on the floor and within minutes it was as clean as can be. 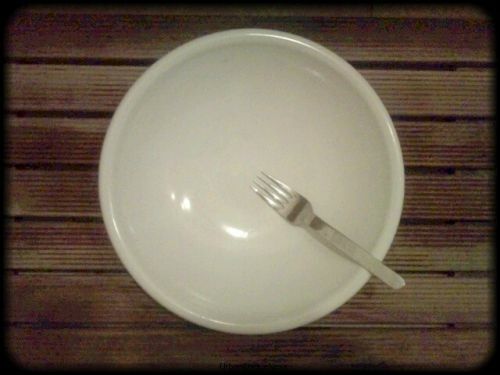 In fact, this morning, PJ exclaimed “Why is there an empty bowl and a fork on your floor?”. Well, not so “Chique” but a great way to end my crazy day. P.S. These photos are not my usual standard as it was late with low light, but they give you an idea! Sometimes “not so…” is the only way to roll Sista!! !